Looking for a wedding caterer? Look no further than Tampa Bay Food Trucks (TBFTR)! 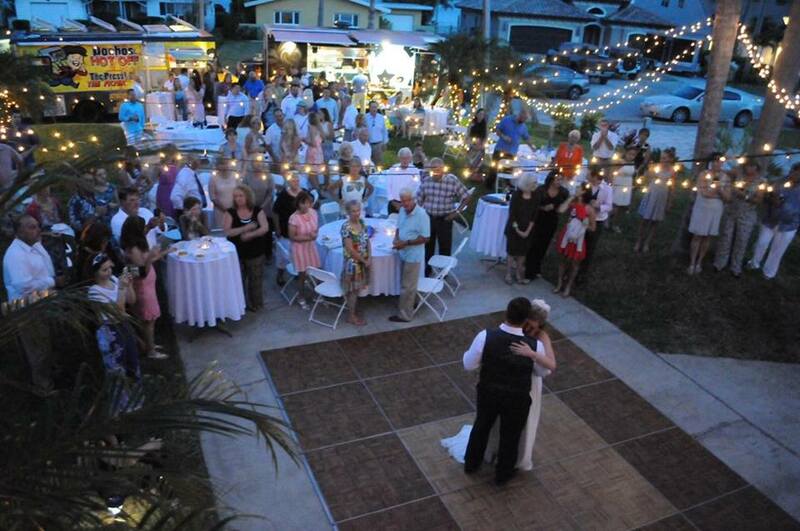 Headquartered in Tampa, FL we service weddings throughout the local area, including Orlando, Sarasota and Lakeland. 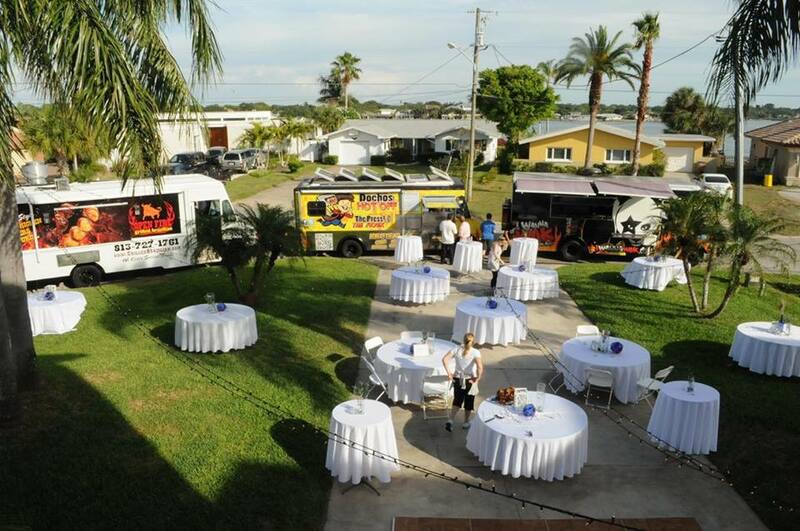 Tampa Bay Food Trucks is a professional food truck caterer that has been active in the Tampa Bay wedding industry for over 4 years. We specialize in wedding receptions (including indoor and outdoor venues), rehearsal dinners, wedding brunches, late night snacks, corporate events, birthday parties, retirement and graduation parties, and employee appreciations. What makes TBFTR unique is that we’re actually about 100 caterers in one. We have the flexibility to customize any wedding package and can help you plan your entire event, or just handle the catering. We are partnered with most food trucks in west-central Florida, and can pair you with the best possible truck(s) for your event. Not every food truck on the street is TBFTR-approved. The food trucks we have selected are all properly licensed, insured, and have a proven track record of high-quality food and service with us. We can ensure you are hiring a truck that will provide prompt and professional service, and mouthwatering food your guests will be sure to remember. We will work with you to develop a menu that meets your cuisine requirements, as well as your preference for service. We can have your guests order from the truck itself, or set up a buffet. We can handle your entire wedding weekend from start to finish, just your reception, or just a late night request for hot dogs or donuts. We can also provide our TBFTR mobile DJ truck, dance floor, tables, chairs, lighting and assist with other rentals. The sky really is the limit in terms of how you would like to utilize our services. Call Tampa Bay Food Trucks today, or fill out our information request form here to get started!